Freedom Alliance recently attended the third annual “Beach Bash” in Coronado, California, to celebrate the homecoming of Naval Air Station (NAS) North Island individual augmentee (IA) sailors. Nearly 700 family members and friends gathered at beautiful Breakers Beach on the San Diego Bay to commemorate the safe return of their loved ones. Since IAs do not deploy with a command or squadron, there is no official welcoming when the sailors return from overseas. Two years ago Navy Southwest Region established the yearly Beach Bash, which has fast become a “welcome-home” tradition for these NAS families. Palm trees, sand dunes, and waves accompanied the venue, and mild weather made for a most pleasant celebration this year. 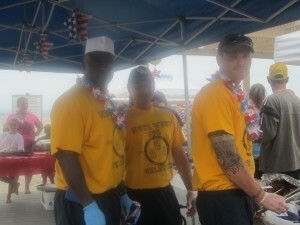 The chief petty officer selectees staffed the event and served up the party fare: barbeque chicken, hamburgers, hot dogs, and ice cream. Families ate, chatted, and played on shaded patios with festive décor. Amusements for the children included three bounce houses, a fantastic face-paint/tattoo artist, and special hat crafts. The DJ, who provided the music for last year’s bash as well, said it was an honor to “spin” for these Navy families. Stocked with beach towels, New Balance gear, and water bottles acquired through a Navy Exchange donation, Freedom Alliance representative Jennifer Ohman came to hand out gifts and greet old friends. She says the NAS have made Freedom Alliance part of their base community, and so events at North Island feel like a family reunion. “I’m like the old aunt who shows up with goodies and treats,” Jennifer remarked, delighted to see again the families and Navy personnel who work with the IAs. 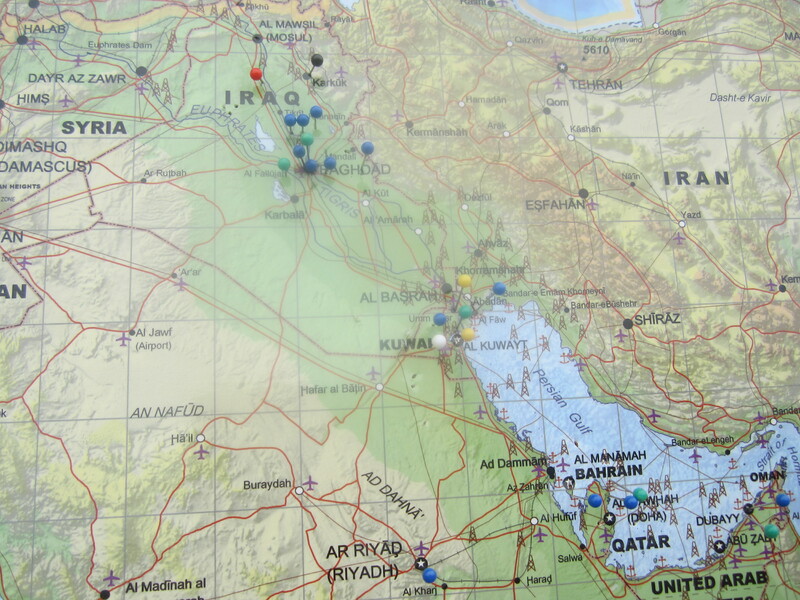 Display maps were placed at the entrance to the main patio, marked with pins that represented the IAs who are still serving in locations overseas. Despite the festive mood, thoughts were with the currently deployed sailors, wishes for their safety and well-being … and anticipation for next year, when their return will be observed at the fourth annual Beach Bash at North Island.